The unpleasant scent copies the smell of ammonia, hydrogen sulphide, hydrogen and cyanide that the comet gives off. The European Space Agency (ESA) landed the Rosetta spacecraft on comet 67P/Churyumov-Gerasimenk back in 2014 and was greeted with a smell of ammonia, hydrogen sulphide, hydrogen and cyanide – the gases that make up the comet’s atmosphere. The last thing you’d expect is to bottle that smell and turn it into a perfume but that’s exactly what one British firm has done. The Aroma Company has teamed up with the Rosetta mission team to produce the pungent spray to recreate the smell of rotten eggs and bitter almonds. However this isn’t intended to be a daily squirt as you leave the house in the morning, it’s been requested by Dr. Colin Snodgrass, a researcher at the Open University in Milton Keynes, UK, to be sprayed onto postcards and handed out to people visiting the Royal Society’s Summer Exhibition in London. The novel idea is to allow people the chance to experience the smell of the comet. “They aren’t quite scratch and sniff” said Dr Snodgrass, but “people can take them away”. 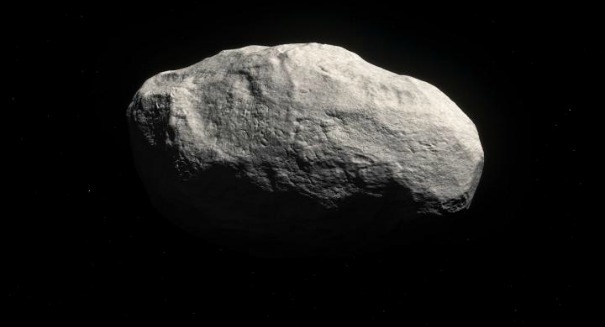 The discovery of comet 67P/Churyumov-Gerasimenk back in 2014 was exciting because scientists discovered it was much like the comets that hit Earth millions of years ago and are thought to have brought large quantities of water with them. They also discovered amino acids on the comet that are organic compounds essential for the building blocks of life itself, therefore scientists believe the comets could have encouraged new life on Earth when they hit. The Aroma Company now has the scent stored in its library and so could be potentially used for other projects. When asked if he would make more comet perfumes, Snodgrass said, “judging by the smell of my office, I may not do this again”.